Salaams from the Halal Blogosphere. After what feels like a lifetime I am back to provide a quick mini review of Oodles Noodles in Star City, Birmingham. I’ve been thinking about going to Oodles Noodles for a number of weeks now but have always found a reason or an alternative which has kept it on the radar but off the pages of the Halal Food Review. This past weekend I finally managed to find the time to head to Oodles Noodles with the family in tow. We arrived mid afternoon after the quickest and most productive shopping trip ever. The restuarant is based in Star City which is great for free parking but there is something about Star City which simply doesn’t inspire me. Living in South Birmingham I can quite easily find any number of reasons not to travel to Star City and its not always the distance!!!! We arrived to an almost empty restaurant which is always worrying especially during half term in Star City with a car park full of visitors. Its hard to be inspired when there is a lack of buzz or energy in the dining area. The décor is modern and classy, the lighting and colour scheme are well done and as a diner you have a good level of visibility of the kitchen area. What did strike me was the number of staff who were just standing around in an empty restuarant it took a few moments for me to get the attention of a waiter to come and take our orders. We ordered two chicken dishes in the Desi Wok and Stir Fry variants, in hindsight it might have been good to experiment with a beef or vegetarian second option, both were accompanied by noodles. The dishes arrived super fast which can only mean most of the food is pre prepared which I’m never sure is a good thing or a bad thing. The Desi Wok was a sweet and mild dish whilst the Stir Fry had enough chillies to make your heart race and set fire to your taste buds! I have to confess both dishes were absolutely first rate, the portion sizes were just right. 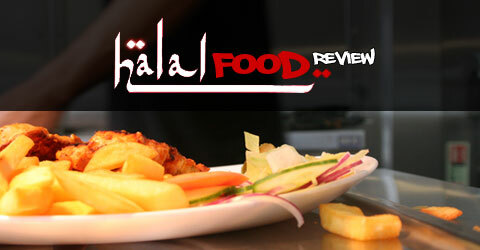 If you’re used to Abu Zayd portions you will leave hungry but the menu definitely delivers on taste and flavours. The Oodles Noodles concept is simple but brilliant, I can’t remember the last time I have really enjoyed a lunch meal with the family and what really stood out was the clear flavours in each dish which you can often lose out on in so many halal restaurants. Whilst the food was great and the décor is of a high standard I thought the service was found a bit wanting. The restaurant also seemed to lack an ambiance due to so few diners in a large dining space. On a personal level I’d love to see something like Oodles Noodles in the city centre, the quality of the food would definitely draw in the punters and you just can’t help feel it would benefit from the energy and intimacy that you so often experience eating at a Wagamama. Prices are competitive and portions are ample though some readers may disagree but its important to judge food on flavours rather than quantity.